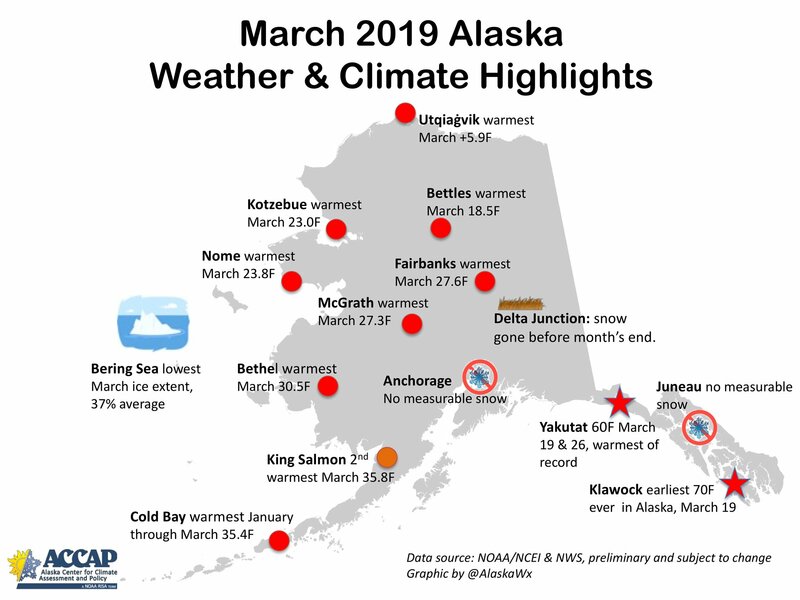 This entry was posted on Tuesday, April 2nd, 2019 at 6:06 AM	and tagged with climate, graphic, history, weather and posted in Alaska. You can follow any responses to this entry through the RSS 2.0 feed. I guess if anyone was around after the first few ice ages when the earth had its earlier global warming then these ‘warmest’ numbers would not seem like something special.